Just in time for the season, our regular Recommending Reader Marianne is back with a selection of cracking Christmas reads the whole family can enjoy together over the holiday. You might just find something that would be a perfect Christmas present – there is no better time to snuggle up and share a story with those children in your life. You will find many illustrated interpretations of this classic poem by Clement C. Moore, translated in many languages it continues to be recited to children all over the world. I have chosen this new 2013 edition by acclaimed watercolorist Holly Hobbie. Hobbie introduces the reader to an entirely new character to capture the magic and heighten the wonder of this exciting, mysterious time. 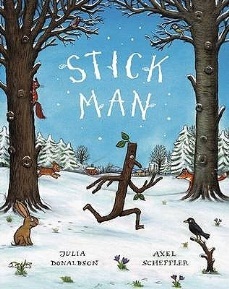 Children’s Laureate Julia Donaldson yet again produces a winning formula with the character of Stick Man and his instantly loveable family, ‘stick lady love and his stick children three’. Stick Man’s journey takes him away from home and into dangerous places for sticks, where dogs want to play, swans want to build and fire wants to burn but he also happens to meet somebody stuck in a chimney…. I wonder who that could be? As always with Donaldson there are wonderful rhymes and the illustrations by Axel Scheffler make this a real festive treat. This cosy and funny book tells the story of an excited and frustrated boy watching hopefully as the wintry weather develops slowly into a ‘big snow’. I loved this book, because I was always the child checking the weather and hoping for an epic snowstorm. Many will relate to the mum in this story, as she asks for help cleaning from her distracted son but ends up having to do more work as a result. There are wonderful details tucked into the illustrations and the images of snow falling, from the first small sprinkles to the steady pelting of no-nonsense flakes captures the progression of a serious, big snowfall perfectly. 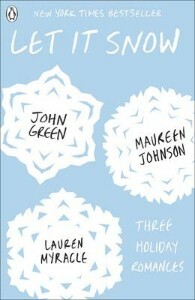 From three of today’s bestselling teen authors, the magic of the holidays shines on these hilarious and charming interconnected tales of love and romance. If you are looking for a light and fun Christmas read to curl up with when it’s cold outside then these three short stories are perfect. John Green is a fantastic writer of young adult fiction and if you haven’t come across him I urge you to read An Abundance of Katherine’s or his latest heart-breaking novel Fault in Our Stars. Beautifully illustrated and written in a style faithful to Beatrix Potter, Oscar winning screenwriter and actress Emma Thompson sets her story just before Christmas. Peter Rabbit, his cousin Benjamin Bunny and a new friend, William the Turkey are pretty excited for the upcoming festivities until they realize that William is meant to be Mr. McGregor’s Christmas supper! Just in time, Peter and Benjamin hide William, and the three enjoy a lovely Christmas dinner of pickled radishes and barley cake at the Rabbit family burrow. Twenty years ago, long before anyone else thought of tucking actual letters and notes inside a book, Little Brown published The Jolly Postman by Allan and Janet Ahlberg. This wonderful book gave children a chance to read letters sent from one fairy tale or Mother Goose character to another. In this Christmas edition we once again see the postman delivering letters to well loved characters such as Humpty Dumpty and Little Red Riding Hood. The Jolly Christmas Postman is a simple picture storybook, a timeless gem that just gets it right. Beautifully illustrated with letters and parcels for children to open and touch. I truly love this story for it reminds me how Christmases are supposed to feel; the magic that Christmas morning brings; the wonderful cooking; those waking moments when we run towards our Christmas stockings just to check what Santa has brought for us. This book contains magic, the North pole, elves, children and of course Santa Claus. This is a timeless tale anyone could enjoy….as long as they believe! 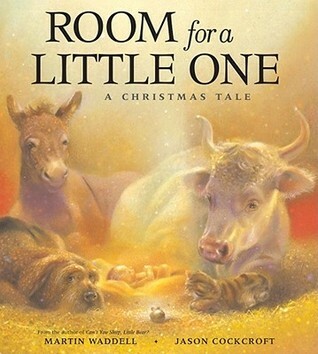 Room for a Little One is an endearing tale by Martin Waddell, taken from the Nativity it tells the story of how all the animals are welcomed into the stable to see the birth of Jesus. A lovely introduction to the nativity for very young readers with beautiful illustrations. 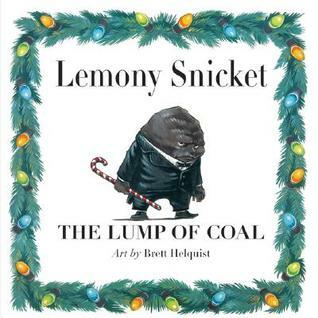 I’m sure this book will become a Christmas Eve tradition for many families. 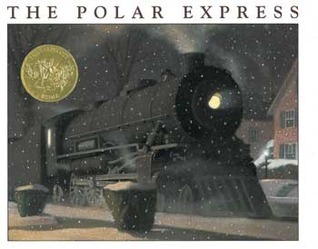 I have always loved this story and enjoyed sharing it with my Get into Reading Groups at Christmas time. 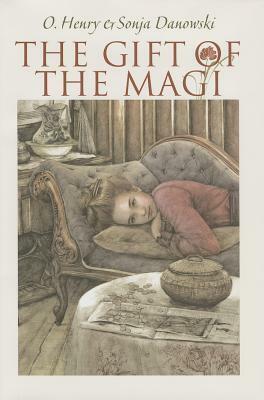 This new, beautifully illustrated interpretation of the well-loved, poignant short story by O. Henry would be appreciated by older children and would make a wonderful gift. Briefly, the story involves Della and Jim who are very much in love but have no money to buy gifts for each other. When Della decides to make a great sacrifice that will give her enough money to buy the present Jim deserves, she soon discovers that that her selfless act may have been for naught. A heart-breaking yet wonderful tale. Previous Previous post: The Penny Readings Festival 2013: A very Readerly Christmas!